The month of love has already arrived. The Valentine’s week is almost in its final rounds. The Rose day and the chocolate day have already gone. So everyone is preparing to take their dates out on the valentine’s day to spend some time together, to know each more and enjoy each other’s company. Being an Amritsari startup we always try to serve you the best. Whether it’s about food, places or shopping we always research and come out with the best for you. This time we have come up with a blog that will precisely help to make your Valentine’s Day even more special. We strongly recommend you to start your day in the purest and sweetest form by having some hot Jalebi form the most famous and oldest Jalebiwala. Ask them if they can make a Heart Shaped Jalebi. Your girl will definitely love the heart-shaped Jalebi. Also, many surveys found that sweets make women happier. Maybe, that was the reason she always asks you for a chocolate. After having the delicious Jalebi take your date to the Company Bagh and enjoy some quality time together. This will also help you guys to know more about each other. Walking is more effective and enjoyable than the normal bike rides or movies. It’s just You and Her- no noise, no hurry. Who knows by just walking few miles together, you both get to know secrets of each other which no one else ever got to know. After all, love is in the air! It’s noon now, and don’t you want to take her to a lunch date? Be a little desi this time! Take her to the Monu Kulcha Hut and enjoy the tastiest Kulcha of Amritsar. And trust me she’d love that. She loves to be treated normally because that’s a sign for her that you gonna be with her for long. Take only one plate and eat together. Make the moment a little romantic after all it’s the Valentine’s. After having a romantic and healthy lunch date, go to the rose garden. It’s will be good to spend some more time together under the trees. Sit there and ask things about each other. Tell her your goals about the carrier and ask her dreams about life. Women don’t open up easily so if she tells you that, please note that you are so special to her and she is already serious about you. Cheers boy! You made it. Nothing can be more lovely than watching the sunset together holding each other’s hands. You two can make a promise of watching every sunset staying together no matter how good or bad the days will be. This can be the most emotional moment for you two during the entire day. Just hold each other’s hands tightly and never let it go. This will surely be the rising of your love story. You can make your day more wonderful by taking her for a long drive on the Airport Road after the sunset. The most amazing idea is to have late night snacks at Ekam Dhaba while returning back to the home. I hope this blog will help you to spend your day with your loved ones in the most amazing way ever. If I missed out something do let me know in the comment section. Have a lovely Valentine’s day! I love travelling and writing the experience about the places. Currently in Amritsar and planning to explore India in next few years. 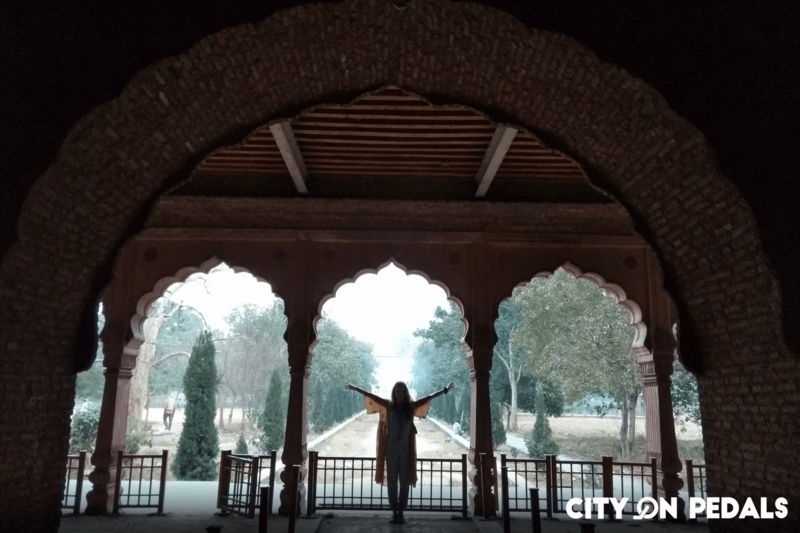 This experience with City On Pedals was a priceless, genuine Amritsar experience that I would highly recommend to travelers and tourists alike and is something you can’t easily get unless you’re with a well connected local. I believe I was the first ever customer, when I did this tour in mid-December. The guide had an incredible knowledge about the city, its heritage, architecture, culture and history, as well as the culinary scene! A must do if when you visit Amritsar! My wife and I took this tour after finding out about it through Instagram. It was a great experience. We cycled to areas not found in any guide books, and to places we wouldn’t even be able to find if tried. Many great food stops along the way. Can’t recommend this enough! One of the best instant connection I have made in life….City on Pedals, the journey started with a simple comment on instagram picture and ended with best of the experience, lots of cultural information about Amritsar and whole lot of finger licking food. Rishab and team is doing great work. The enthusiasm and passion for City on Pedals is unmatched. Would love to do it again and again. Keep it up guys….you are doing the best!! Our City on Pedals excursion proved there is much more to Amristar than the Golden Temple. An excellent digital marketer, Rishabh let us know about his company by commenting on one of my Instagram posts (with an #Amritsar hashtag)—and within minutes my husband and I were able to quickly and easily book a tour for the following morning. The next morning, we were delighted to discover that we would be the only ones on the tour: a private exploration of the city with Rishabh and his associate. We were a fam of 4 (husband+wife + 2 teenage kids), who took a 6 am cycling trip with City on Pedals, in Amritsar. We were very ably guided through the city with Rishab leading from the front and Aman bringing up the rear. They took us to a bunch of eating places and heritage places too! It was a leisurely 4 hour trip and Rishab was an extremely gracious host -treating us to jalebis, tea, lassi, kulchas, puris, halwa and at the same time interspersing this with historical, cultural and contemporary Amritsar gems(some hidden ones too). Highly recommend this adventure. We had booked the two morning walking tours, which included the Golden Temple and the hidden gems of the city. It was hard to get up that early but it proved to be incredible! Our first guide Aman was extremely knowledgeable and showed us the Golden Temple, the kitchens, the morning ceremony and much more! The second tour which followed immediately after was like a behind the scenes Amritsar, and at our request they even took us to Jainawala Bag! If you’re looking for a genuine experience to discover the city, City on Pedals is the only one you need! Did the street food tour . There were about 6 stops. Every stop served excellent varieties of street food like gol gappa, paneer pakoda, momos , soda, aam papad, gulab jamun, jalebi etc. The main course was at brothers pure veg dhaba , the thali served there was world class. It had authentic punjabi taste with medium spices. The food stalls were very hygienic. We did the tour by cycle rickshaw. Had a memorable time. The guide and cycle rickshaw pullers were very nice. Five out five stars to this tour! We went on a bicycle street food tour with Aman which was great fun! We had a good selection of food and he kept checking that we were okay on the bikes on the challenging Amritsar roads! Went with my brother (only 2 of us on the tour). Guide was Aman. He was very humble. We are of Indian background so knew most of the food, that’s why Aman himself didn’t go too much into the details of each food. Visited around 8-9 stalls. It was a nice experience to try the local street food of Amritsar. Favorite was the jalebi at the end and momo and gol gappa. Just be careful while cycling in the busy streets. It is not for the faint-hearted. I did 3 tours with this company, the Wagah Border Tour, the Golden Temple Walking Tour and the Amritsar Heritage Walking Tour. They were all really good but my favourite was the Golden Temple one. The guides are very knowledgeable and the tours are great value. I can’t recommend them enough. The Hidden Secrets Cycle Tour and Golden Temple are must do activities when in Amritsar. You will see sights and learn things that even lifelong residents of Amritsar do not know. It is definitely worth skipping that 6th kingfisher, setting your alarm and getting up early to enjoy these tours and the warm hospitality of this company and the people of Punjab. I would like to say a huge thanks to Rishab for accommodating me at literally the last minute (I’m sorry for waking you up) and to Amandeep for 2 great Tours and for kindly giving me lifts to the start of the bike tour and to my hotel. The ride on a back of a scooter was an experience in itself. I got the honor to spend several hours with Guru on this trip and I must say I enjoyed it. He was very open to answering questions, showing me everything and explaining about the temple, Sikh religion and the 75,000 meals fed there every day! The Golden temple is something to see for sure! Rabia took me through the countryside before the ceremony and filled me in on the fascinating history of Partition, as well as the impact on the villages along the border. She was a wonderfully enthusiastic guide to the ceremony, cuing me for photo ops and explaining the process along the way. I enjoyed every minute. Beautiful (and humorous) pageantry that belies the current tensions along the Kashmiri border. I thoroughly recommend City on Pedals as your guide in Amritsar. Having been twice before, I wasn’t expecting the city of Amritsar to come up with something as memorable as this cycle tour. I along with my friend took the heritage tour, which lastest for almost 4 hours. Not only we witnessed some of the hidden gems like Khairuddin Mosque, we were also told some breathtaking stories about the same. Would highly recommend this experience once in a lifetime. We came to stay – sadly only for one night – & cannot recommend City on Pedals highly enough. We stayed in a range of different accommodations, & loved each of them for their own particular reasons. But City on Pedals is the only place I long to come back to for a longer period of time. Such a friendly, welcoming place! And the food tour in the evening was eye-opening. Such amazing & tasty food from places I would not normally have tried by myself! Chatting to others in the comfy common room we also got the information for an experience we will never forget: that the Dalai Lama was teaching in McLeod Ganj and how to get tickets! City on Pedals exceeded all expectations and made our stay in Amritsar really worthwhile. We took part in 3 tours – The Street Food Cycle Tour, the Golden Temple Tour and the Heritage Walk. Our tour guide for all the tours, Rabia was fun, informative and really gave us a flavour of Amritsar. She also very kindly came to find us when we got hopelessly lost on route to the City on Pedals location! Street Food Tour – Shubham joined Rabia and ourselves on this tour and it was great fun, informative and we really enjoyed all the stops. The bicycles were in good condition and we felt safe, despite the madness on the roads! Golden Temple Tour – this had a 4am start, which concerned us a little, however it was a great time to visit the temple. There were no crowds or queues and we were able to see everything, including the Palki Sahib Ceremony at 5am. We also loved our tour of the kitchens, which took place while the volunteers were preparing breakfast. 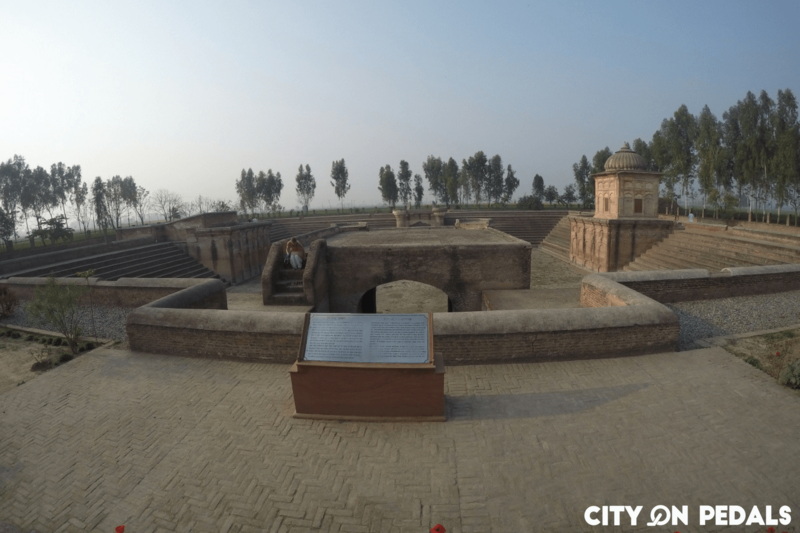 City Heritage Walk – this was really interesting and took us to places we wouldn’t have considered visiting on our own. These tours were great value, Rishab, Michelle and their team made us feel very welcome and we highly rate Rabia as a tour guide. I would have never imagined myself riding a bike in the craziness that is India, but my god was this an amazing and safe experience thanks to the guides with us. It was so much more enjoyable than other food tours we’ve taken thanks to the “exercise” we were getting between stops. 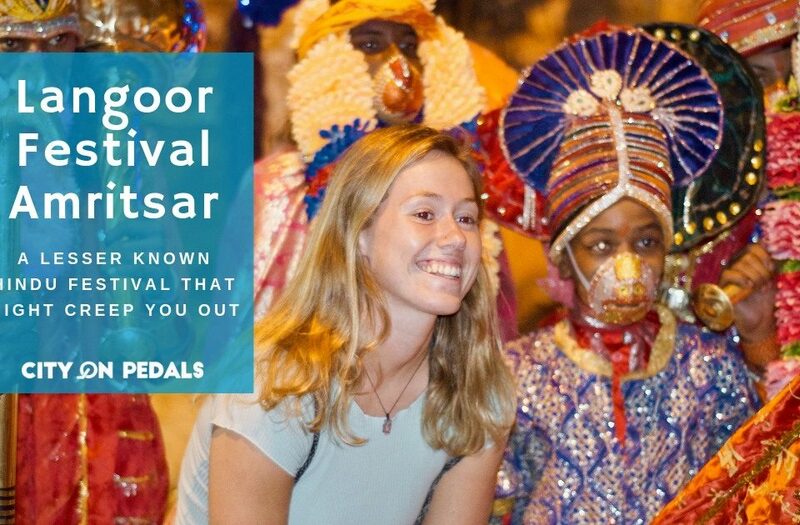 I can’t recommend this tour enough, one of the highlights of our trip to India. Thanks again guys! City On Pedals is a cosy, colourful, safe and well organised hostel that will surely make your stay in Amritsar an exciting and memorable experience. The staff and the owner are warm, always smiling and ready to sing, dance, party and have fun! My Lohri weekend here wouldn’t have been special without them. The dorms here are spacious, clean and comfortable. The common room and rooftop are spots where you will find fellow travelers hanging out, sharing their stories and experiences. The ambience is homely and peaceful. The various city tours organised by City On Pedals will take you through the history, culture and architecture of the holy city. They take you to the best places to try the local cuisine, show you around the bustling market streets of the city, tell you unknown historical facts, take you to hidden gems, all-in-all give you the authentic local experience. If you are travelling to Amritsar and looking for backpacker or budget options to stay, look no further. I can now happily say I have a family back in Amritsar !! I’ve made 2 tours with city on pedals. The Golden temple tour is a must if you are in Amritsar. Incredible experience with guided access to different area. Later I joined to bike tour in the city. Although could be unbelievable in India it’s safe and is an adventure in the old city. The say that they are open to support you in any situation and in my case they save my trip because my flight was cancelled and they could make a very fast reservation for the train. Many, many thanks and good luck dear friends! I know eating local food tour in India might be scary for many people but these guys from City on Pedals will make sure to take you to local places yet with super good quality and using good products. So dont be afraid and just ENJOY IT. We tried at least 7 different local dishes plus deserts. One of the things I enjoyed the most about this tour was getting to know whats behind each of the dishes that we tried (curiosities, cultural staff, how to prepare them, etc). In addition to that, roaming around the city looking for the best places to eat with a bycicle is FUN. We stayed at city on pedals for a couple of days and loved how helpful and kind the guys who work there are. They will spend ages chatting with you, giving you advice and tips that we have found very useful, not just in amritsar but in other parts of india too ! They also provided us with towels and a hot drink as soon as we arrived, which was lovely and much needed. 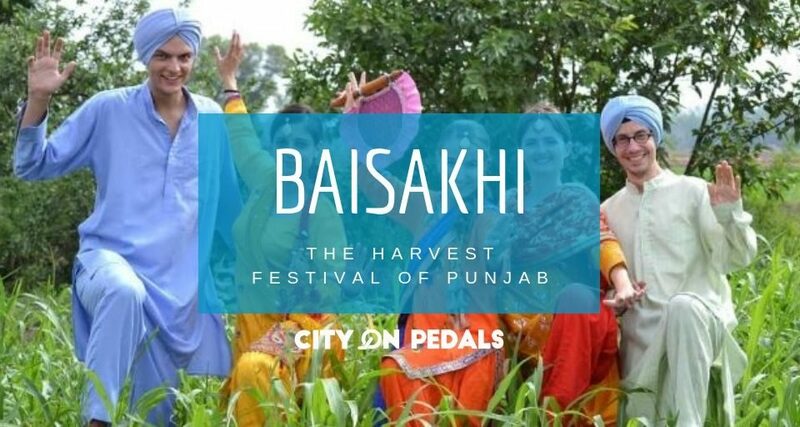 Overall, would definately recommend city on pedals when you visit amritsar! I Stayed with City on Pedals during My visit to Amritsar. I was there For three days. You will be welcomed by Two kids Horsey and Tikka they Are lovely dogs ❤️. The hospitality is too good and the place is Cozy. Interior and Roof top is just lovely. They offer city tour to their Guests. City tour include Old City visit, Golden Temple Visit, wagah Border and Heritage Your. I am again Looking forward to visit Amritsar and would love to Stay with COP. 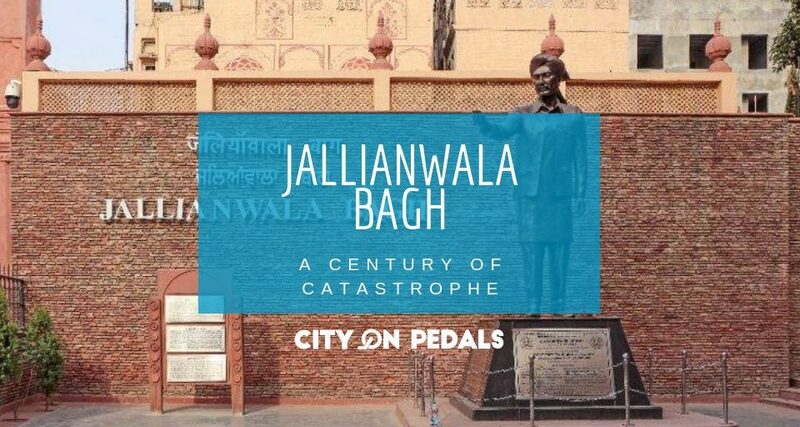 I have been to Amritsar once but my recent experience with City on Pedals is something I’ll always speak very highly of. It was the festival of Lohri and the city was buzzing. Exploring it on foot, on a bicycle, going on a photowalk, interacting with the locals with all their idiosyncracies, trying some of the most famous cuisines and street food the city has to offer, Golden Temple Tour and Wagah Border Tour, each one of them was totally worth it. The next time you plan to visit Amritsar, do give City on Pedals a call, they’ll make you see the city in a whole new, beautiful way. Been to Amritsar wuite a few times but never knew I was missing out on to so much of this beautiful city until I chose to explore it with COP. 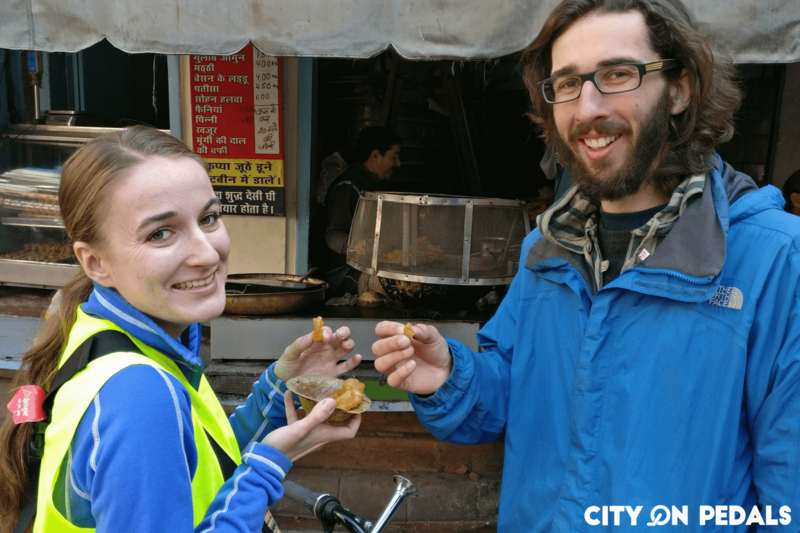 From the heritage bicycle tours that led us to hidden gems of the city which spoke about the rick cultural and architectural history to the food tours where we tasted a variety of gol gappas and aam papads, City on Pedals made sure I keep coming back to the beauty that this city has on offer. The food tour specially are to die for, from age old Jalebi wala to luscious lassi to the soya chaap and tandoori momos, everything about the tour was excellent. A cute place which gives you at home feeling. The rooms are nicely done and neat and clean. The common area is a chill out place where you can have a heart full conversation with the fellow travelers over a cup of coffee which the owner gladly makes for you. The nights are great with barbeque on their rooftop garden with soothing music and a lot of laughter. Iwas lucky to have gone on lohri where we celebrated it in true punjabi style. Their tours are amazing and the tour guide is one gem of a person. They take you to the hidden nook and corners of the city where you witness the history in its raw form. Also, do not forget to eat the lip smacking food on their food trail. Would definitely recommend!! City on Pedals is among the best possible places you could be in, in Amritsar. One of the best things that the hostel offers are the Tours. 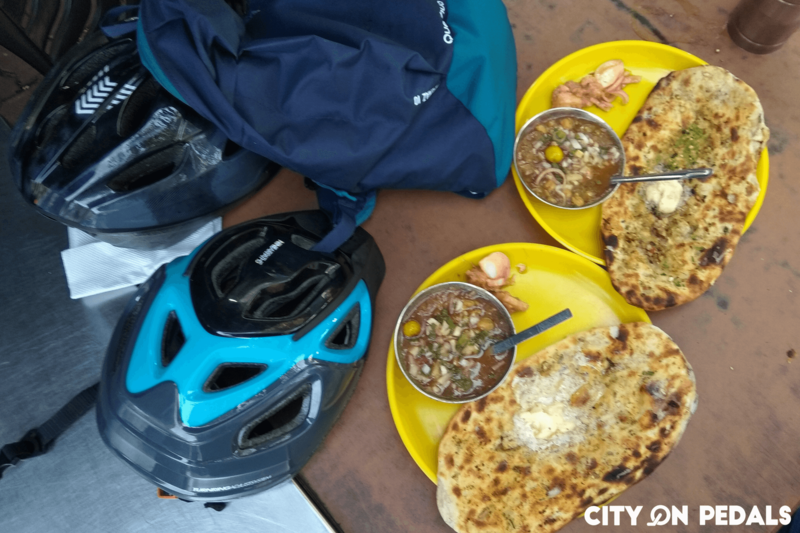 Cycle tours take you around the city (Amritsar) wherein you’re shown the entire heritage of the city, exclusive food tours where you eat Jalebis, Kulchhe, Lassi, Aam Paapad, (among the so many that we tasted – my mouth’s dripping with water as I type this). The heritage tours are extremely informative and an absolute delight for those who love to know Indian History. The tours through the Amritsar’s streets open your eyes to some breath-taking architecture – which is a heaven for photographers! What makes COP different from others is the kind of Hospitality it offers. They don’t make you feel like guests, rather, you feel like Family. City on pedals is sheer love and happiness. Tikka and horsey their cutest pets will be their to welcome you. From hospitality to their cute corners they will make you fall for Amritsar over and over again. They will go out of their way yo make u comfortable and to make ur experience worth. I stayed with City on Pedals during my two day visit to Amritsar. The place is very cozy, and the location is amazing. It has a lot of food options around it. Apart from staying there, I also went around the city with Rishabh, and it was amazing. The knowledge he has about the city is amazing, and I was awed because I’d never thought of Amritsar beyond the Golden Temple, Jallianwala Bagh and Attari Border. Even Rabia is great travel companion, loved hanging out with her! And now that they have a rooftop cafe, I’m looking forward to visiting them again even more. PS. The highlight of my stay at City on Pedals were definitely Horsey & Tikka (the hostel pets). We start the guide at 4am. We requested Rabia to accompany us from Ramada hotel and she is happy to walk with us. Great guide and hospitality, all in one package. We decided to take the 2nd tour which is heritage walk and it did not dissapoint as well. A short nice street food warm us from the cold weather. When making my list of things to do in Amritsar, a few things kept popping up, especially when asking around; “Eat the street food!”. “Visit the golden temple pre-dawn!”. “Go see the border closing!”. City on Pedals’ available tours perfectly matched that todo list. So when it came time to book, I figured, why not use them as a one-stop shop and stay at the hostel as well. How wrong could 200 5-star possibly reviews be? Expectations met, and exceeded. The owners and guides were helpful, accommodating, flexible, knowledgeable, and made my time in Amritsar far more pleasant than trying to do all this stuff on my own. Only caution would be that the bicycle tours are not for the faint of heart, but that’s hardly their fault, since most of India isn’t exactly bike friendly. I did the Street Food Bicycle Tour, Wagah Border Tour, overslept the Golden Temple tour, and stayed in the hostel. We are a couple from Denmark and in all honestly we knew very little about Sikhism and the Golden Temple when we arrived to Amritsar. However joining the Golden Temple Walking Tour was the best thing we could have done!! The guides were able to answer literally everything and the tour was done in a professional yet relaxed way. It is a must do!! We started the tour at 4 am ! Thanks to Rabia ,whose explanation was superb & so lively She has first hand knowledge of the place as has has grown up there .It was really interactive tour & she invited all questions from us !she also advised about the hidden charms of the city ,places for authentic food & shopping .Needless to say we all love her.We would be lost with out Rabia .The trip to the kitchen was an amazing experience.Rabia took time to show us the logistics of the service which feeds 100000 persons daily .The visit to the museum was really too enlightening to us . We did 4 activities with them, Wagah border, Golden temple, heritage sites on the bicycles, and street food tour in the night. Must say that all these tours were well organised and thoroughly enjoyable. Our tour guide, Rabbia, was very knowledgeable and cooperative in all aspects. Their services and care for their clients are of top quality. Their communication skills and hospitality shown by Rishabh were much appreciated. We highly recommend everyone to do these activities with them while in Amritsar. If you’re looking for hostel and tour a really cool way to experience in Amritsar, this place is for you. I loved it…and my guides are Gr8t. Speak very well in English and knowledgeable. I think this tour is a must and would do it again if visiting. Wish in future they have branches all over India. Highly recommend. Best staff best friends this place above and beyond!!! City on Pedals have done their research and found some nice places in the old city that you would otherwise just overlook. It is indeed possible to cycle in India (who would have thought?) and I was surprised how empty the old town is in the morning hours. We took the tour to visit the Golden Temple and we enjoyed it so much. We learnt lots of things and the ceremony was amazing. We didn’t know about the ceremony until City on Pedals told us. The guide, timing, explanations were very accurate and we enjoyed them a lot ! Outside Jallianwala Bagh you can get any number of cheap deals for the border ceremony but you will likely find yourself sharing a tuk-tuk with 20 people and be dropped off quite a walk away. This tour was so worth it. Rabia was our guide and driver and her enthusiasm for the ceremony shines through. She explains what is going on, you get drinks and snacks, and you get to find out where it’s best to sit. Great way to experience the ceremony. This was a wonderful tour. If you’re wondering if the tour really starts at 4am (for us at least, for the season), it does! I’ve done a couple other tours involving visits to religious sites, and this was by far the best one. Informative, the information was laid out in a way that mostly made sense, and left me with a enough knowledge to feel confident about visiting a Sikh temple by myself in the future and not be totally lost. The tour lasted 2 hours, and had plenty of time for photos built in. The temple wasn’t nearly as busy as it looks during the day/evening. Ultimately, it was an early morning, but definitely worth avoiding the crowds. Perfect timing to get breakfast and go take a nap. This tour was a great way to enjoy some new Indian food without worrying about how things were prepared. City on pedals has researched everywhere they take to you to ensure food is being well prepared and you won’t get sick. Our guide Rishab was really friendly and clearly passionate about the tours. Bikes were in good shape and the company is safety conscious, making sure everyone had working lights, helmets, and vests, and the guide keeping a close eye on the group to make sure every makes it through Amritsar traffic safely. Definitely worth checking out if you’re interested in trying some local food! This was my second visit to Amritsar and I was looking forward to exploring beyond The Golden Temple, Jaliyan Wala Bagh and The Wagah Border. 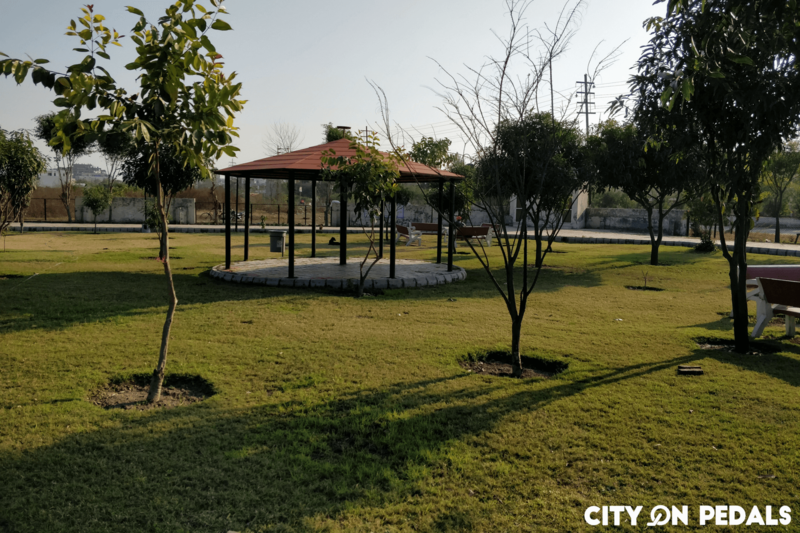 At City On Pedals, I not only had the most comfortable stay, but I also got the opportunity to go for 3 bike tours, exploring the best of everything in Amritsar. Out of all the tours, The Morning Heritage and The Food Night would always remain my favourite. Hopefully, I’ll be back soon for the rest of the bike tours! Rishab and Michelle are amazing host. And those tour guides they are working together are full of knowledge about Amritsar. I took a morning bike tour with COP. It was a wonder morning and hey foods are amazing!!! They know every hidden places for food and culture. I definitely recommend You to experience a local life with city on tour when you go Amritsar. We loved City on Pedals and our guide so much that we ended up doing three tours with them! They are passionate advocates for their city and provided fascinating insights we would not have gained on our own. Signed up for a bicycle tour and was delighted at their concern for safety given it had been many years since I was on a bike. Great tour company for young and old. We had a great time doing both Street Food on bike and Village tour to meet local family and daily routine of farmers. They teach us how to wear a turban, and cook in clay oven. We had a big breakfast with the hosting family and all the best home grown ingredients. Special experience not easy to have in places like this. Very much recomended!